7 Image Building Words for Manufactured Housing! The reason marketers use ‘tag lines’ and the reason politicians use short catchy phrases is they have the power to stick in the mind and create a powerful image or impression. Let’s do something very simple, positive and creative here. Everyone who reads this, take a moment and share a maximum of 7 Image Building words for Manufactured Housing. Note that phrase was 7 words. Pick 7 or fewer Words – that if you or others used it in the public in the context of manufactured housing, would get people thinking, make them curious or start changing people’s ideas about manufactured homes today. The INdustry has been waiting for it! 1. We lead off this month with our Red Carpet Introduction and Invitation to the Virtual Louisville Housing Show©! Details will be found at the links below. 2. Our second and final set of TRENDS 2010 Surveys are also available this month. See what these INdustry voices have to say about their views on the Industry today and looking ahead. Ready for the future of Manufactured Housing Wholesale and Retail Marketing? Read web guru Bob Stovall’s: Virtual Louisville Housing Show – the Future is Now! For those who want more details like: Who, What, When, Where and Why read Tony Kovach’s Virtual Louisville Housing Show – Truth, Technology, Trumpets, Timing and The Turn-around! Tim Connor returns with eye opening common sense look at a key to boosting your bottom line: Ever computed what your lost sales are costing you? See why dozens of industry firms and associations call on famed author and speaker Tim Connor, who will show you the roadmap with You Get The Behavior You Reward. Jerry Bennett signs in with a challenging topic, with his article Resurrection or Demise of Manufactured Housing– it’s up to us. Come see why some 80% of employers are doing it: LinkedIn and the Manufactured Housing Industry: True Confessions! by L. A. “Tony” Kovach, MHM. Industry veteran and guru Don Westphal starts the first of a series of columns on Upgrading your Image… Getting Started. Susan Frost returns with her latest insights on navigating towards more closed sales with: Can the “Factory Built Industry” help homebuyers and real estate business professionals during an economic decline? Marketer L. A. “Tony” Kovach share this guidance on: GPS This Navigational trio yields Manufactured Housing Marketing Magic. 21 more TRENDS 2010 Survey results at this link. Finally, don’t forget our Red HOT BLOGS! Weekly updates bring Thousands of Industry pros – who can’t be wrong for coming! Tim Connor, Bob Stovall and Tony Kovach will dazzle and delight you weekly… sometimes, even more often! Our Industry Voices blog features industry leaders on issues important to al of us. So check in often. Okay, one more request. As you read an article that you like, don’t hesitate to show your appreciation to the author by posting feedback under their article or blog post, or emailing in your thoughts to latonyk@gmail.com You can click on the bubble to comment. BONUS! If you register and log in, you’ll get notified of all comments after yours. The name practically says it all. Take the best of the past. Unite that with today’s technology and marketing. Offer every segment of manufactured housing a well deserved boost towards a brighter future! Announcing the Virtual Louisville Housing Show ©! 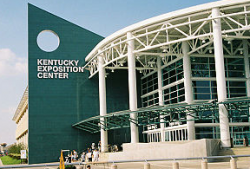 Kentucky Expo Center In Louisville, previous home to the venerable Louisville Manufactured Housing show. The new Virtual Louisville Housing Show © will create better results for less and with greater ease for all. Associations, marketing firms and others with INdustry INtersts will be provided robust opportunities to participate. 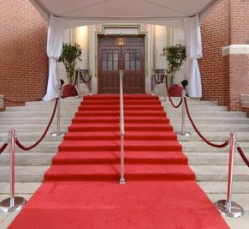 Here comes YOUR Red Carpet treatment! The time for the INdustry Turnaround is NOW. You are reading about it here first and exclusively. The Manufactured Housing INdustry’s road ahead for the 2010 Turn-around will include the Virtual Louisville Housing Show ©. When you are here, you are not alone. Whether this is your 1st visit here or your 31st, you are not alone. Whether you are a one person operation, mid sized organization or part of one of the largest firms in the factory built housing Industry, you are not alone. Whether you are an owner, executive, association leader, manager, sales, staffer or support; when you are here, you are not alone. Others like you are here too: writing, reading, commenting, learning and positioning themselves for a brighter future! Seeking to enhance your PR, biz to biz marketing within the industry? You are not alone. So no matter whom you are or what you do with or for the Industry, when you are here you are not alone! Before you finish this blog post, you are going to see one or more reasons why you should come here often and why you should invite and bring your associates along for this encouraging ride too. This website was launched some 105 days ago. When we unveiled the Manufactured Home Marketing Sales Management trade journal in mid-October 2009, we had a short term goal. We wanted to attract enough visitors to attain 10,000 page views (PV) in a month and we hoped we could achieve that goal sometime in the first quarter of 2010. If, IF we were really, really successful at attracting Industry Professional’s interest – we wanted to achieve that 10,000 PV goal by February 2010. …as the chart above demonstrates, we blew past that goal in November 2009, our first full month of operation, because you are not alone! …because here, you are Not Alone! In December 2009, as the chart above shows, we exceeded 30,000 PV! We grew almost 150% during the busy holiday season. Why? Thanks to our writers, thanks to our readers, thanks to new names, faces and new ideas to move the industry ahead, thanks to those who forward our emails…because here at www.MHMSM.com, you are not alone! Let’s put this in context: How would YOU like to have 149.56% growth and then follow it up with 187.2% growth?! If you were a factory, how would you like to go from building 30 units in December 2009, to 55 before January 2010 was even done? Sure – you’d want to do more, but you’d be MOTIVATED by the growth. Industry leaders, managers to rank and file are logging on and letting us know that they like what they get with www.MHMarketingSalesManagement.com – or www.MHMSM.com for short. If you are new here, take 10 and tour our feature articles, our robust Industry News, the Photo Gallery and much, much more. Online, people vote with their browsers, and Industry member browsers have helped make us the largest Industry Trade Journal less than 4 months after we’ve launched! You’ll see below reasons why this IS – or can be – Important to YOU and YOUR organization. So we are clear with those less web savvy, sometimes you hear about a ‘hit count’ on a website – a hit count can be a misleading figure, because a single page view often yields multiple hits on that one page view. In other words, we don’t use hits as a measure of traffic because hits ‘inflate’ the numbers. For an example, the hit count from January 1 to January 30 at 9:30 PM was 358,885 while the page views (shown above) for the same period was 55,160. See the chart below compared to the one above. FYI – we also know that we’ve had a growing number of ‘unique visitors’ a week, so that each visitor sees an average of about 4.5 pages per visit before logging off. In the most recent week, we are averaging over 3,500 unique visitors per week, that’s over 15,000 monthly and growing. So we not only have the most content – we are far and away the largest INdustry trade journal – we also have more traffic from INdustry pros too…and are growing rapidly! Now all the factory built housing Industry trade journals – us included – could potentially reach thousands more than what we already do. There are those who still don’t know us, so this is just the start, but as the charts reveal, it is a FAST start with solid results! Okay, impressive! But what does this mean for me and my enterprise? We are going to address later items like retail lead generation for our registered users and other advances that www.MHMSM.com will provide exclusively to our readers/users. But initially, we will take a few moments to explain in some detail why this rapid growth is important and potentially very good for you. There are many reasons, some or all may apply to you. Those that don’t apply to your may still apply to a friend or colleague of yours, so let’s start with an analogy. If you are hungry, want to go out to eat and are looking for a good restaurant, one ‘clue’ that it is ‘good’ can be word of mouth. But another one is a simple test…is it busy? If the restaurant is open and is busy, that’s usually a pretty good clue that the food and service are good, or people wouldn’t be there in great numbers! 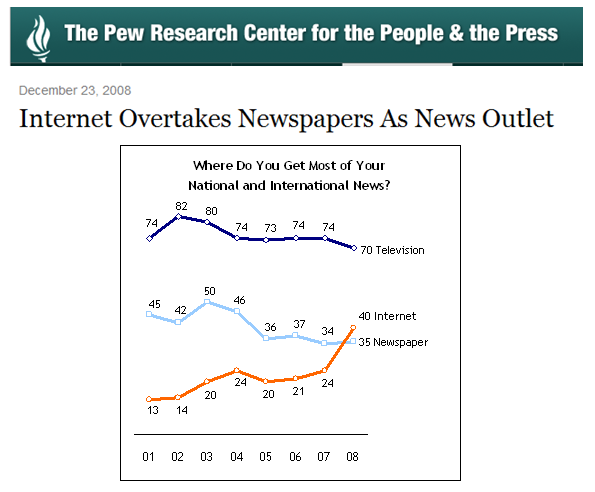 Similarly, if you are hungry for news and views, if you are hungry and looking for new ideas, proven concepts by successful pros, industry news reports, a way to get your message out to others in the industry – do you want to go where things are dead or dying, or where things are BUSY, and growing BUSIER! Don’t be an Industry outsider – be an INdustry INsider! Here, YOU are Not Alone! MH Industry News – the most you’ll find anywhere, and it is updated daily 24/7/365. National Associations News & Events – MHI and MHARR, updated shortly after they send it out, you’ll see it live on our website. State Association News and Events. A growing number of states are sharing their news with your biggest and best source for Industry News, www.MHMarketingSalesManagement.com or www.MHMSM.com for short. All states – all North American Industry Factory Built Housing Associations! – are invited. If your state isn’t shown – yet – please contact/remind them and ask them to send their news and events here to reach that wider audience. It is a fine way to let non-association members see the value of the meetings, training and education a good association offers! In other words, use www.MHMSM.com as your free Association-friendly marketing tool. MH Finance and Housing Industry News. Some of us are do-it-yourselfers. Give a do-it-yourselfer a ‘how to’ book or article, and they are off to the races to see if they can make it happen on their own. Others want to hire a job done by someone that’s done it before – they have the resources and are willing to invest them to accelerate their growth process and/or to provide coaching for their team. At www.MHMSM.com, you’ll have the opportunity to hire many of the pros you are reading tips and ideas from, or you can take the do-it-yourself route. Either way, you and your associates are the winner. It is a proven fact that people are surfing the web at work. Studies have suggested, for example, that people search online more for a new place to live during their work hours than during their off duty time. Be it during a coffee break, lunch break down time – or whatever time – you and your people are doing many things online from your office. Why not encourage your team to surf and read www.MHMSM.com articles or blog posts? If you read Tim Connor, Bob Stovall, Greg McClanahan, Zig Ziglar (Zig is joining our ranks for writers – starting in February!) Sue Frost, Tim Saville, Mike DuPure Suzanne Felber, Dave Reynolds, Beth Monicatti Blank, Rachael Biermann or any of our regular or periodic writers, you’ll see diversity of topics, but one very common thread… a ‘can do,’ positive, solution orientation! Positive in, positive out! That’s a whole lot better than GIGO – garbage in and garbage out. Those are good ideas from our readers. Why not use articles or blog posts as periodic meeting tools, and discussion starters! Encourage your team to read in advance, letting them know there will be a discussion. Over time, they’ll get ‘hooked’ on this themselves. Who is the winner? They are, for getting stronger in their jobs. Your company is, for having team members who are reading so they will be leading in their area and market! The only ‘losers’ are those who don’t plug in and logon. They can fix that too, and it is free. Do you have a message or an idea that you want to share with the Industry at large, or with segments of the Industry? What is the faster, more powerful medium – print or online? We want to present this idea with some caution…because we have tremendous respect for the remaining print journals in our Industry. The two print leaders have been around for 30 or 40+ years. We believe they deserve your support! Print has certain fundamental limitations that the Internet doesn’t have. 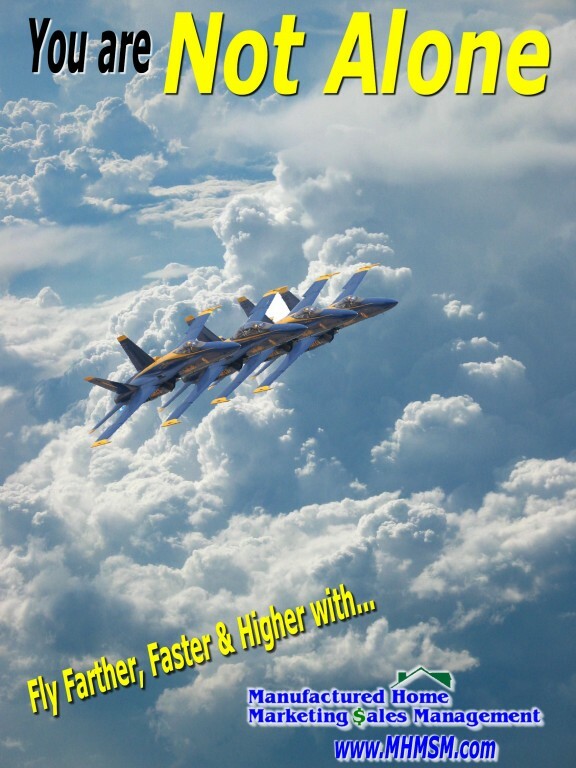 www.MHMSM.com has more than double the content then the largest industry print publication. There are reasons why newspapers and magazines have ‘gone digital’ over the years, even if they may not have quite figured out how to make both print and digital work together profitably. If you need facts, we’ll provide some below and then finish up with a roaring bang! In the Manufactured Housing Industry, Modern Homes and the Manufactured Home Merchandiser Magazines have sadly fallen by the wayside, along with a smaller industry publisher. Digital media is the wave of the future, so are you still placing all or the bulk of your industry professional focused advertising, PR and such with print media? It just make sense to go with the largest and fastest growing INdustry publication www.MHMSM.com If you want to write, advertise, promote a discussion or event, bring it here AND to your other outlets. You’ll find a warm reception here and if you need ideas on how to get your message out, you can’t come to a better place within the INdustry. Here YOU are Not Alone! Instant Feedback available from Industry professionals via posted comments. Image building via Publication and/or via our Contests (photo gallery submissions, writing, etc. ): Ever walk into a restaurant or store and seen an article about them posted? Ever seen an award framed? What does this do for that business? Create interest and add to their credibility! In some world, ‘publish or perish’ is the rule. Yes, being published or winning an award can over time yield business for you too! Tools to boost your Retail Business. Through the “How To” articles and resources already available here, readers can begin the process of using success strategies that have proven their worth ‘in the trenches’ of the INdustry. Those are here now, one big reason, You are Not Alone! the sale of everything that goes along with home sales and services! We will provide a new vehicle, a new set of resources – exclusively to those who are signed up – that will enhance our Industry’s Image with the home buying public. It will generate retail leads. You don’t want to open your doors to a quiet office; you want to have that busy restaurant effect – where retail client emails are coming in with phone calls and customers arriving at YOUR place of business or organization! Want more profits and revenues for your enterprise? You are not alone. 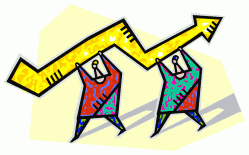 Want to work together to increase sales and industry growth? Thank you for being a part of the story for the rebirth of our Great INdustry. Thank you for sharing our web address, or forwarding our blog posts, articles or emails. If you haven’t already signed up, please do so, it is free and just takes a few moments. Your emails are not shared or sold to others. Thank you for helping us, help you. Together, we are not alone! Footnote 1. Website statistic charts above were generated by Urchin Report. Highlights and comments on charts have been added by www.MHMarketingSalesManagement.com team members. •	Positive thoughts are not enough. There have to be positive feelings and positive actions. •	The difference between can and cannot are only three letters. Three letters that determine your life’s direction. •	Reading inspiring quotes uplifts the mind. As INdividuals and as an INdustry, we face many very real challenges. We also face unprecedented opportunities. Here at Manufactured Home Marketing Sales Management Magazine, we seek to make Innovation – Information – Inspiration for Industry Professionals more than a tag line, we work to make it a reality. It is by working together, by sharing SOLUTIONS and PROVEN ideas that we can being the turn around process for one and all. Please resolve TODAY to reach out to at least one industry pro with a positive message: one of your own team members, someone you know down the road or across the country by email. Reach out to at least one public or elected official at least once each week. Reach out to your local media and people of influence at least every other week. If you do this, it won’t take long for you and the industry to see the difference. If you are in any way connected to the housing industry or its suppliers, this message is of importance to you. If you care about approximately 2,000,000 Haitians without homes, or 10% unemployment in the U.S. and rising, this matters to you. If you’d like to see your tax dollars or charitable donations create jobs here in America – and yes, abroad too – here is your chance to ACT. Records numbers logged on last Monday, and many replied to that post a week ago, with reader comments overwhelmingly in favor of the proposal or some variation of it. Thousands came here last week, so if we mobilize those thousands with thousands more – if we ACT! – we can make the difference! Take 10 to understand the issue – then reach out to policy makers – then follow that up by reaching out to your Industry Connections and Associations who can likewise influence policy makers. If enough housing professionals repeat that chain of events, a ‘good idea’ can become a reality. That ‘good idea’ will in turn benefit you and others! A rough estimate of 10 billion dollars could put thousands back to work building housing instead of tents for those 2,000,000 Haitians. Properly invested, that 10 billion could build 400,000 strong yet modest dwellings, transport and install them. Compare that to passing out billions for unemployment checks, which makes more sense? Would we rather put Americans back to work, and let American know-how team up with Haitian labor installing those homes; or would we rather see waves of refugees coming to our shores as so often happens after political or economic disasters overseas? How long will 2 million people live in tents 710 miles from Miami, Florida? Compare 10 billion in ‘Homes for Haitians’ built by American modular, pre-fab and manufactured home producers to the 20 billion or so spent in a single year by U.S. foreign aid programs in 2008. Hmmm…sending 20 billion plus dollars overseas, or building 400,000 homes in America, shipping and installing them to homeless Haitians…for half that cost! Or think about this: “U.S. taxpayers may be on the hook for as much as $23.7 trillion to bolster the economy and bail out financial companies,” said Neil Barofsky, special inspector general for the Treasury’s Troubled Asset Relief Program. That TARP money related quote comes from Bloomberg, July 20 2009. That 10 billion pales in comparison to the banking, insurance and auto bail outs, doesn’t it? Instead of ‘paying for past mistakes,’ let’s pay for homes that put our people back to work! Let’s use a fraction of those dollars to pay for modular and manufactured home producers to build homes for Haitians that will help people in both countries! Please contact your state and national housing associations. A list can be found at: http://www.mhmarketingsalesmanagement.com/associations-directory Call or email them on this topic and tell them how you feel. They can organize this sort of effort. Then, why not contact the church or charitable organization you’ve given money to for Haitian relief? Let them in on this common sense plan. If enough charities here from enough of you, they can act and can also influence policy makers. It is a common sense, natural connection for this crisis. Contact your representative and U.S. Senators – you can go to a website like: http://www.usa.gov/Contact/Elected.shtml plug in your zip code and get links to email or call your U.S. Senators and Representative. Since President Obama promised jobs last year in Elkhart, IN – in a focal point of manufactured home construction – let him act on his words. The president also promised not to abandon the Haitian people in their hour of need. So contact the president on this topic too. The White House contact is found in that same link above. Nothing on the horizon today can put American housing factories, their workers and suppliers back to work faster than this would. While the headlines on Haiti are still in the news, this is the time to respond to a Call for ACTION. and having acted yourself, you can ask them to act too. You forward jokes, news and views…forward this too!! There are give-aways and bailouts. But then there are savvy moves that could save us billions more than we’d invest in such a project. As taxpayers, we should have a SAY in how our tax dollars are spent! What would the result be for inaction in Haiti? Will we spend billions more down the road for troops to police their streets to quell unrest when millions get tired of living in tents? Would we rather spend money on unemployment here and there? Would it make more sense to keep Haitian families together and working in their own land, than have them end up on our shores in large numbers? Let Haitian labor learn from skilled American’s how to install the homes we could build for them and the let Haitian’s be part of the process to rebuild their native land! Do you see how it just makes sense to invest tax and charitable money with the local component, supplier, transporters and factory built housing manufacturer instead? “A dollar spent at a locally owned store is usually spent 6 to 15 times before it leaves the community. From $1.00, you create $5.00 to $14.00 in value within that community.” ~ Tim Mitchell, first cited in E-magazine. The argument is made that spending with a local firm is better than a national one, but let’s be clear, it would be better to spend dollars now in America building houses in our modular, pre-fab and manufactured housing factories than the alternatives. Let’s build and ship American housing, which will recirculate in our local economies. 10 billion invested wisely in such a plan could house the Haitians. Or it will be spent in the blink of an eye in a military ‘police action’ there, or in unemployment and relief spending here and there. Manufactured housing, modular housing, pre-fab and panelized home builders – all factory-built home makers – could rapidly tool up to build strong, modest “Homes for Haitians.” Do the math. $10,000,000,000 (10 billion) divided by a U.S. Population estimated at 308,545,701 would cost $32.41 per person to make this project a reality. You may have already donated more than that to Haitian relief! Let’s not miss another key point. As noted in the first blog post on this topic – properly handled – the possible PR benefits could be priceless to our industry! Imagine images of American producers building these homes – happy Haitians receiving and working at installing them – that could get Americans thinking about American modular and manufactured housing in a positive light, which they should! Positive media coverage could drive large numbers of Americans to manufactured home, pre-fab and modular housing retail centers to check out what our industry does today. That too would ripple through the economy in positive ways! We could use that opportunity to educate millions of American’s to the appeal, quality and the savings that they are looking for in these challenging times! Let’s build homes and opportunities, not bullets or bailouts. Strong, modest dwellings for Haitians would return factory built housing workers and their suppliers back to work in the U.S. and Canada, which in turn allows our citizens to keep or buy our homes here. Nature abhors a vacuum. How often have political or bureaucratic policies or inaction hurt our industry? Isn’t it long overdue for us to rally around a cause that can BOOST our Industry instead of harming it? Let’s fill the need for housing in Haiti, and use that to catapult ourselves into a turn-around decade for our Industry starting now in 2010! The manufactured housing industry directly employees perhaps half a million people in the U.S., not counting thousands of more Canadian workers similarly engaged. Pre-fab and modular home producers’ employ still more. Those jobs influence other component and service providers. We don’t build homes at the www.MHMSM.com trade journal, but we believe that everyone connected with the Housing Industry has a vested interest in making sure our factories and their suppliers return to work sooner than later. Just think: if only 1 out of 10 connected with the Industry contacted Congress and the White House, the odds of action would rise dramatically. There are companies in this industry that could influence this American Factory-Built Homes for Haitians plans almost solo if they mobilized their people! From individuals, to small or large organizations, 50,000 calls or emails would be huge. Heck, there are tons of YouTube videos out there with more hits than we would need! The bottom line is that this is DOABLE – if you do your modest part today. Please, make your voice one of those needed to move this concept ahead! Once you do, pass this request on! http://www.usa.gov/Contact/Elected.shtml Tell Congress, tell the White House, tell your associations you’d like to see ACTION. There are five motivators – Pride, Profit, Love, Need and Fear. Pick the motivator(s) you need to move YOU to ACTION, and then please pass this Call to Action it on! Haitian Disaster Relief and American Factory Built Housing: Crisis meets Opportunity? 1. Tents – like those being sent in ShelterBoxes – are ok for temporary quarters, but the Haitians will need more substantial shelter going forward very soon. 2. The American factory built housing industry is uniquely positioned to create and build the needed more substantial housing units. The benefits to the Haitians is obvious. The potential Industry benefits to this concept are many. 3. Some time back, Automated Builder Magazine reported on emergency shelter housing units that could be assembled on site in a matter of hours. Very low cost, a few thousand dollars per unit is what I recall. Depending on the skill sets available and the working conditions on the ground in Haiti, American factory builders could either panelize such emergency housing units for site assembly in Haiti, or could pre-fab these emergency shelter units to be shipped whole and placed on location for use. 4. MHI and MHARR could refine and then lead the charge for such an effort, knowing that the effort that would put thousands of Americans skilled in factory assembly back to work. After all, President Obama stood in Elkhart and promised American jobs there…what an opportunity to have him deliver on that promise of jobs and get people properly sheltered in Haiti too. Properly shared and implemented, American know how and our can-do spirit could get global publicity – and part of that focus would be on American factory building! …all while showing great photos or videos OF the high end mods, the quality HUD Code homes and the disaster relief units that could be provided for Haiti. 6. Governmental, international and private relief agencies such as the CRS or Red Cross could pay for them. The feedback of the Red Cross and others in implementation of this concept would be valuable. 7. As an important footnote, if it the transport issue is doable, those FEMA units in storage could be shipped to Haiti. Instead of hurting the industry by dumping them back on the U.S. market through some auction, let those FEMA units be used as it was intended – for disaster relief. I did a test post on Linkedin the other day, and it immediately got an “Amen” from another industry member. One source suggested to me that some military aircraft and shipping is capable of moving those FEMA units to Haiti. I’d like to invite Industry Leaders or Industry Members to sound off on this urgent topic, either by posting their comments below, or if you want to develop your own solution proposal, you can send me a post for our new Industry Voices blog at latonyk@gmail.com. We’ll provide you with the space on our new Industry Voices blog if you provide the writing. There are doubtlessly details that would need to be worked out on this subject. The caveat that Ross Kinsler of Wisconsin Housing Alliance fame made during the Katrina disaster certainly applies here: we’d want the construction of these emergency shelter units to be clearly identified as NOT being HUD Code Manufactured Homes. We would want the Publicity of this effort to be rapidly and well thought out on the front end, and let’s get some Industry leader(s) to lead the charge, support them, and encourage the press conferences to let the industry both aid in this fashion and to get some much needed PR for our efforts.